The electronics systems in our homes today have changed greatly from just 10-years ago. Now we want everything to have Internet access and be able to talk together with instant response. While technology has come a long way in the world of Plug-and-play and do-it-yourself setup, systems require a robust network infrastructure to work properly. Further, what happens when the plug-and-play won’t play nice. That is where Hawkeye can come to the rescue to make everything in the background just work. If your home is large enough to require 2 or 3 wireless access points, you may run into this problem with some popular products on the market today: If you are on the WiFi close to one access point, then walk across the house closer to another point, but still in range of the first, your smart-phone may still be connected to the furthest access point resulting in poor connection and slow speed. 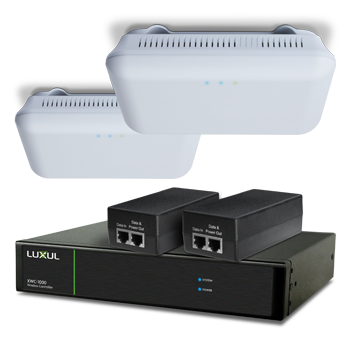 Our solution is the Luxul components that manage your WiFi devices and automatically transition your WiFi devices to the strongest signal device continuously.